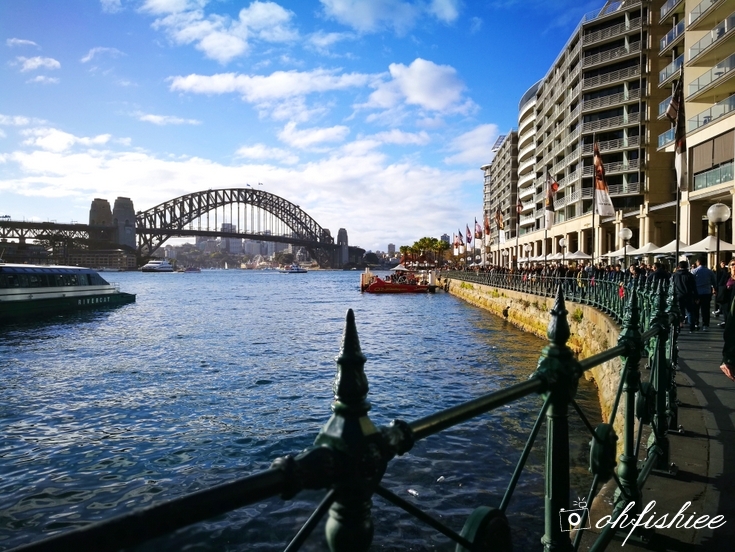 Following the travelogue on my first day in Sydney around Sydney Fish Market, Mrs Macquarie’s Chair and Chinatown, here comes Part 2 where I spend a whole, fruitful day at the Central Business District of Sydney. 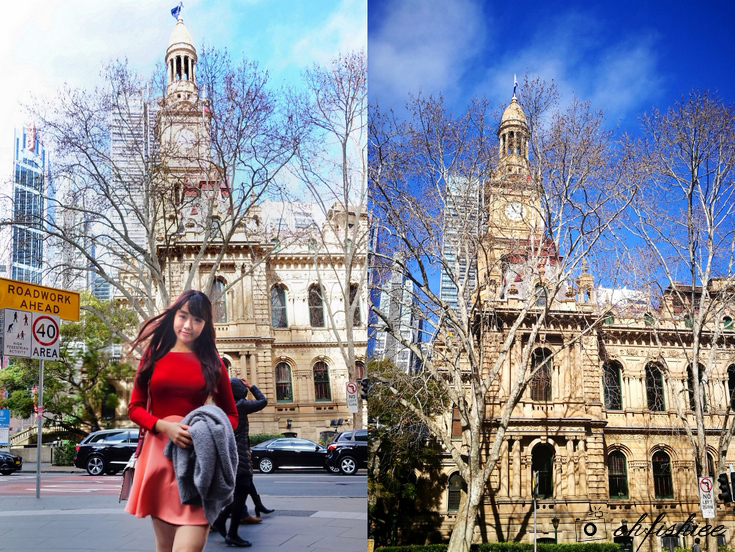 The CBD area is mainly for sightseeing and shopping, and I am truly in love with the beautiful architecture here especially during this winter season. 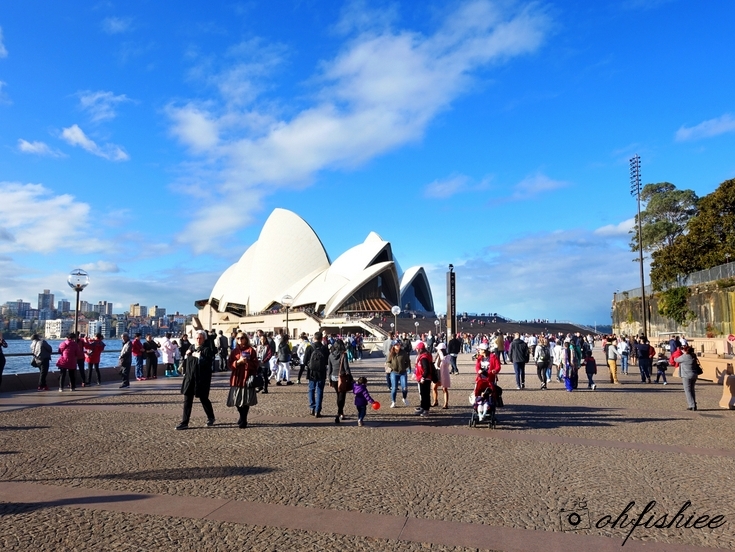 Now, let’s see what I have explored in Sydney CBD area in 1 day! 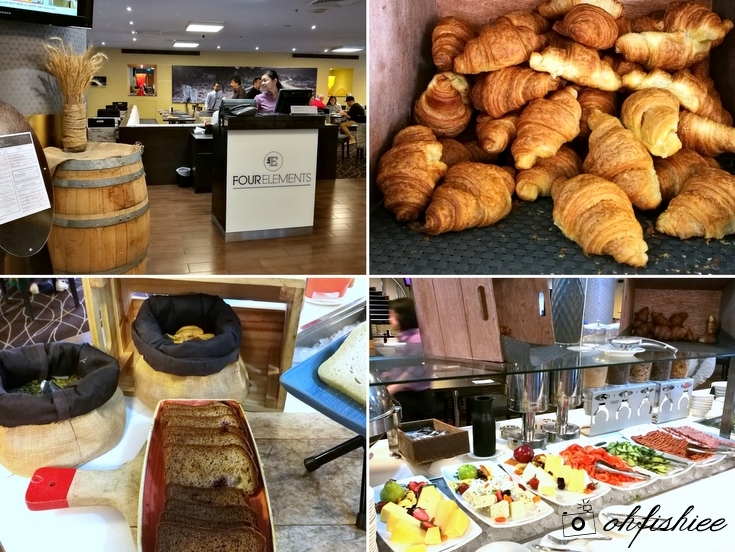 Our first morning in Mercure Sydney kickstarts with a hearty buffet breakfast at Four Elements Restaurant & Bar, the all-day dining venue in the hotel. 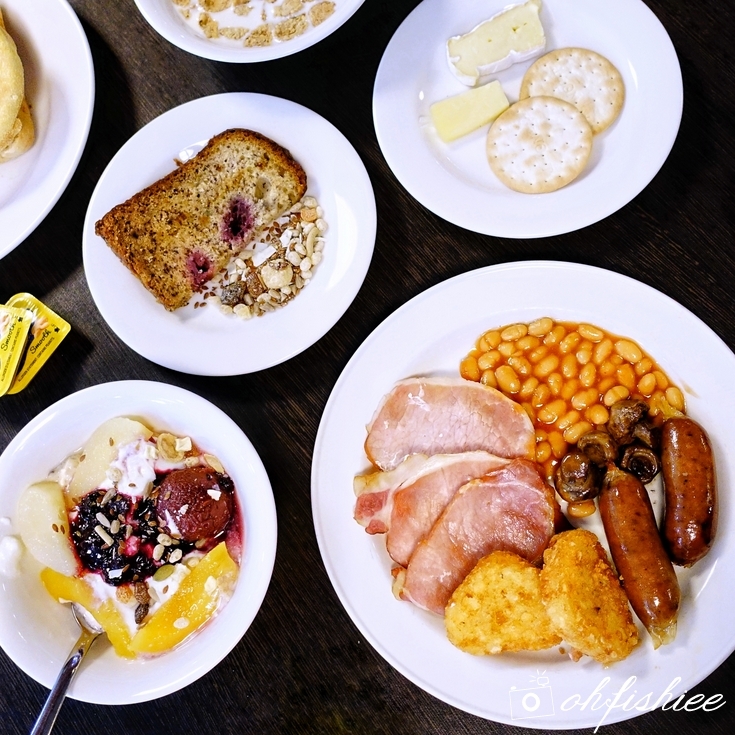 The buffet spread is pretty decent as it offers a fairly wide variety of standard English breakfast components, cheese, cereals, pastry, bread, fruits and juices. But having the exact same menu on the buffet spread for the next few mornings during our stay is not really a good idea. 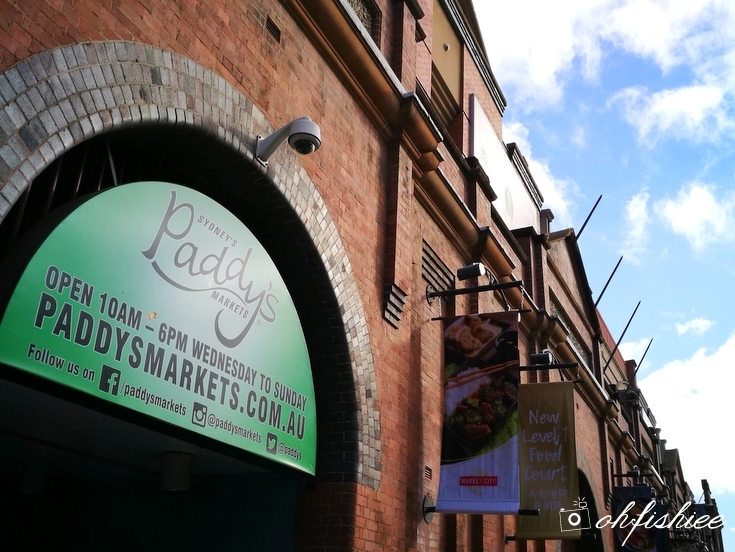 Eddy Avenue, Haymarket, Sydney, NSW 2000. Along our way to the shopping area, we pass by this 111-year-old Central Railway Station located right next to our crib. This building is one of the most recognized landmark in town that you shouldn’t miss, well at least it showcases the best of architecture back in the 19th and 20th century that is worth a picture or two. Although it is the end of winter going into spring season during our August trip, the winter landscape with beautiful branches taking center stage is just so beautiful that I am falling in love with it everyday. Corner of George and Bathurst Streets, Sydney NSW 2000, Australia. 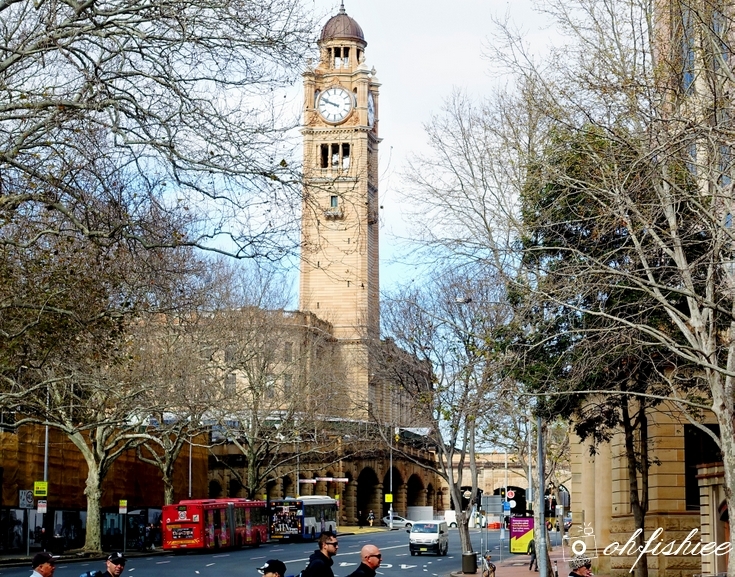 Our next stop is the St. Andrew Cathedral, located adjacent to the infamous Sydney Town Hall. If you’re commuting, just get down at Town Hall Railway Station and you’ll see these two lovely architectures right in front of you. 83, George Street, Sydney, NSW 2000. 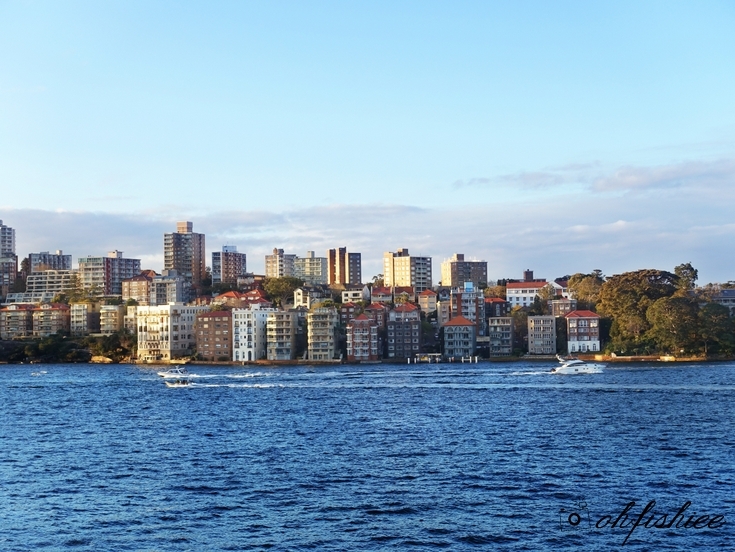 Travelling Tips: To further explore Sydney’s sights, feel free to join the walking tour group. You’ll be guided by a friendly and knowledgeable local walking tour guide. And it’s FREE! One of the nearest Starbucks from our crib. 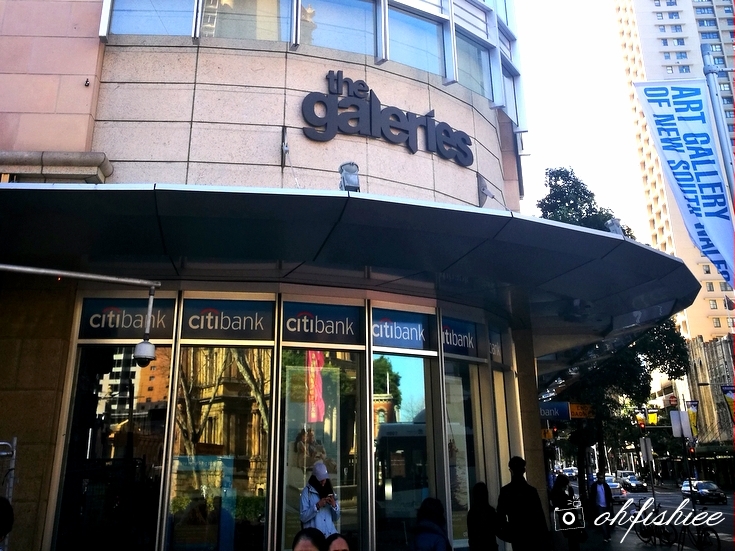 455 George St., Sydney, NSW 2000, Australia. Impressive landmarks come one after another. 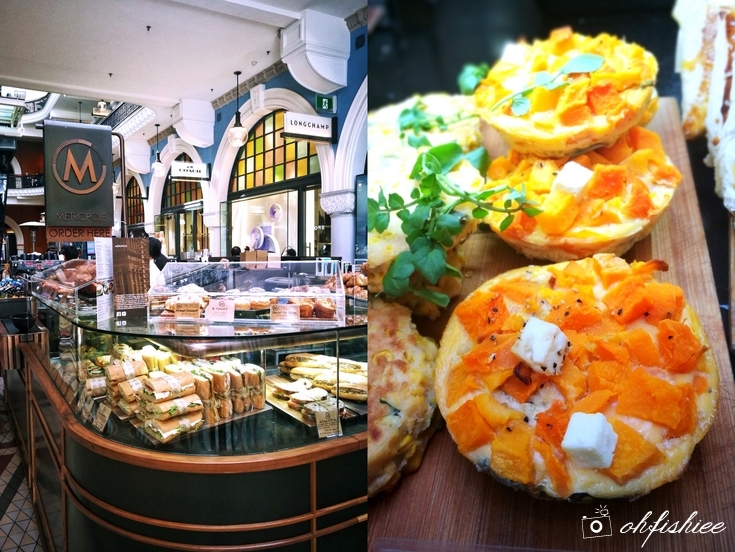 Just across the street, I am finally here at my favourite destination of the day – Queen Victoria Building! 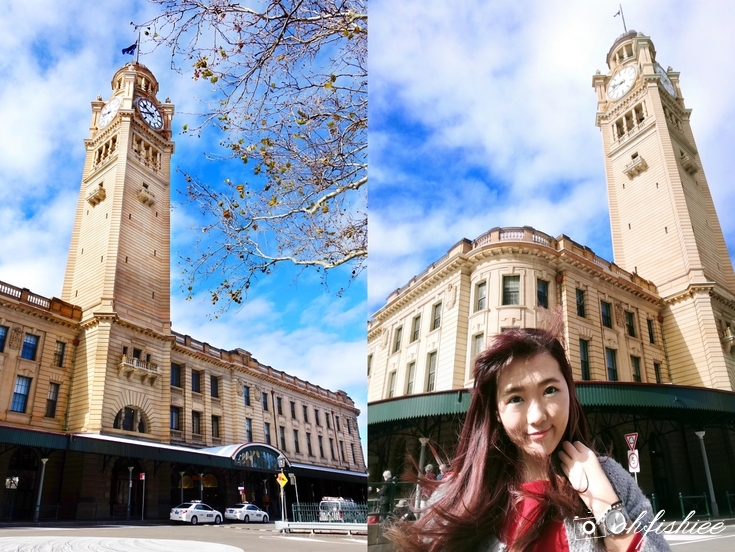 QVB, with a longstanding history of Romanesque architecture since 1898, is one of the most iconic landmarks in Sydney that you must visit at least once if it is your first time here. Travelling Tips: Best to visit QVB in the morning before the tourist crowd floods this place in the afternoon. 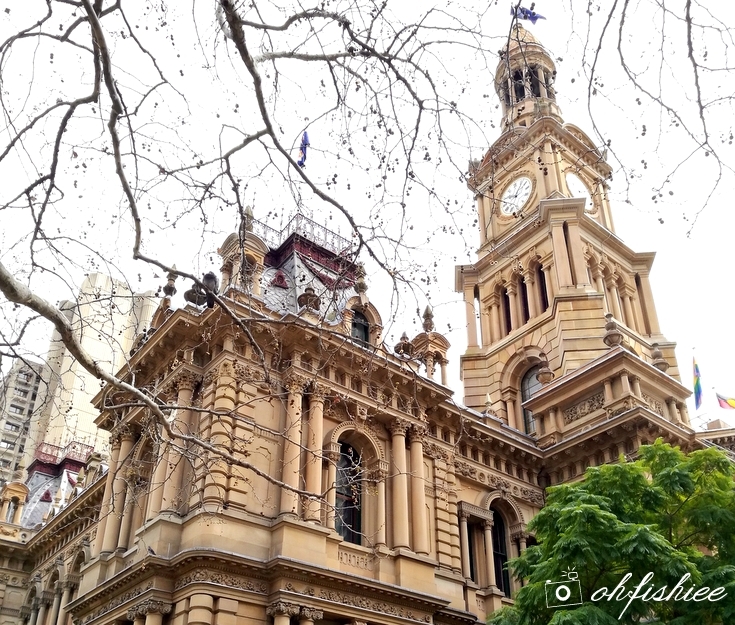 Standing boldly along the intersections of George, Market, York and Druitt Streets, QVB is truly a beauty at the first sight. 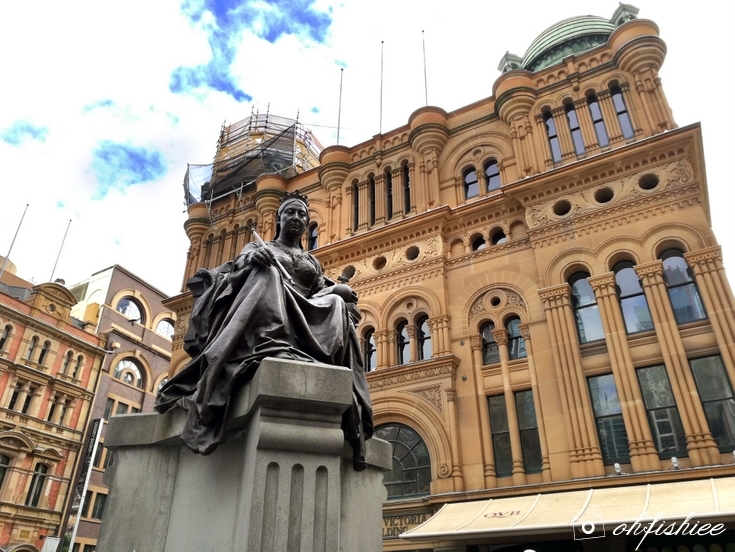 Outside the QVB, we are greeted by the Queen Victoria's statue and the Royal Wishing Well on Town Hall Place. Here you can easily spot street performers (fully equipped with guitars, drums etc) serenading the public with vibrant tunes. From the mighty centre dome, glorious stained glass windows and original 19th century staircase to every tiny detail such as the arches, pillars and intricate tiled floors, I truly admire the superb craftsmanship of the artisans who put the elaborated structure together. 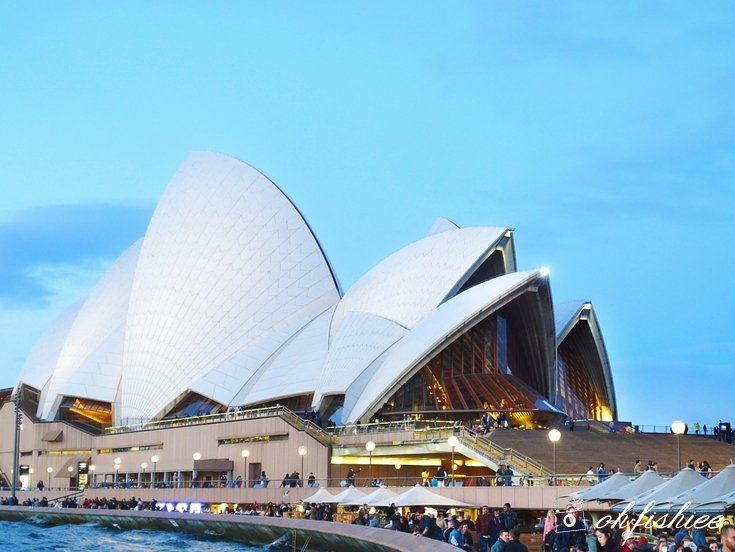 500 George St, Sydney NSW 2000, Australia. 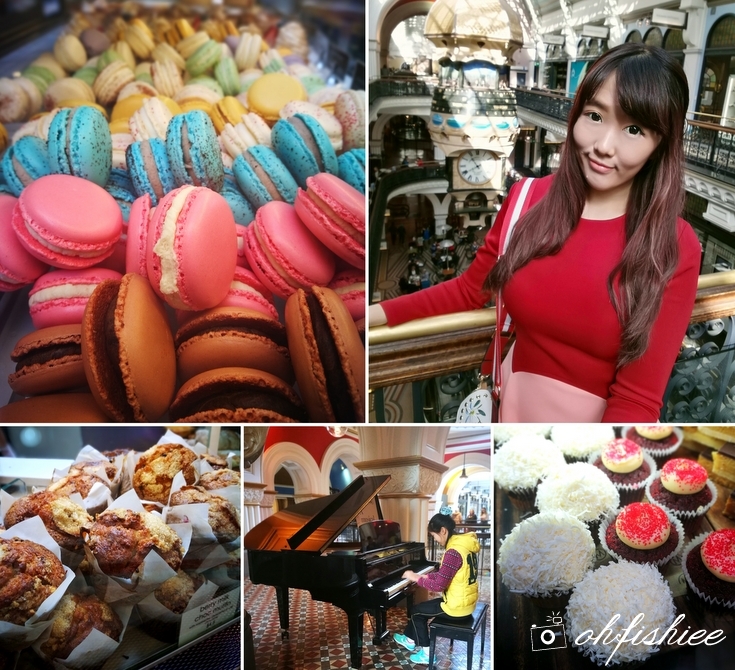 As soon as 11am approaches, we quickly head to The Galeries, a shopping mall that houses mostly prominent fashion brands – Vans, MUJI, Crumpler, Ben Sherman, etc – for the city’s most sought-after dessert, Strawberry Watermelon Cake. Didn't know that the famous brunch place, The Grounds of The City is here too! Would have tried if I am not up for Blackstar Pastry instead. Blackstar Pastry Café, a quaint café sitting inside Kinokuniya Bookstore, is our main reason of being here. Its colorful pastry and cakes can easily melt our hearts just by looking at them. My quick conversation with the baker there reveals that this shop actually sells over a thousand slices of Strawberry Watermelon Cake each day! How amazing is that. 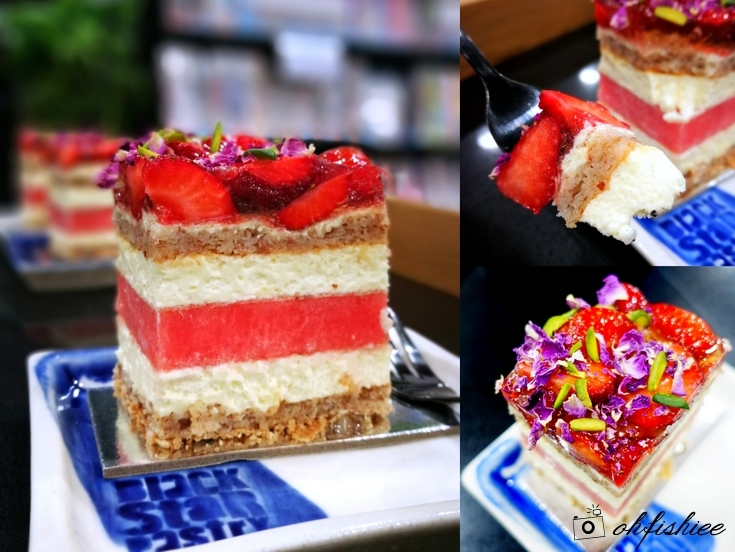 Strawberry Watermelon Cake @ AUD $8 per slice It is indeed a piece of art, beautifully composed of 2 layers of almond dacquoise (like a meringue), rose-scented cream, watermelon, strawberries and garnished with pistachios and dried rose petals. The taste? So fresh, light and floral fragrant. Unfortunately I am not quite a fan of rose or anything rose-scented, so I think it could be a winning taste if the rose flavour can be slightly toned down. Nevertheless, it is a good try! 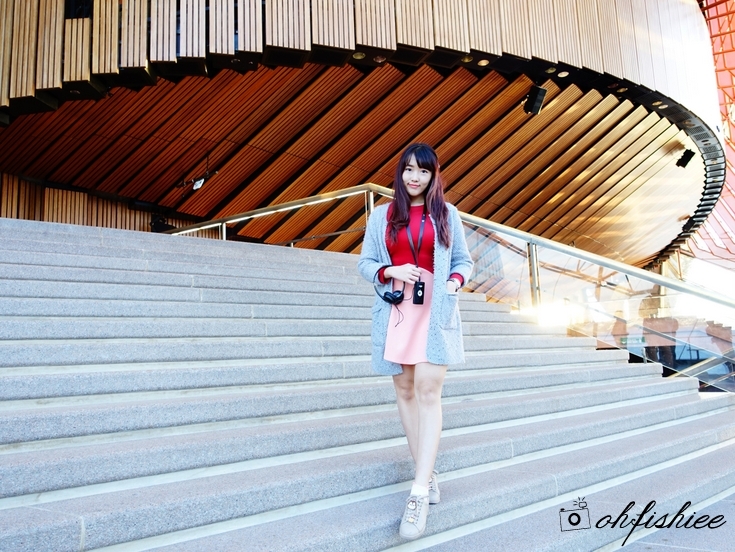 2-10 Darling Drive, Darling Harbour, Sydney NSW 2000, Australia. What’s next? Lunch! 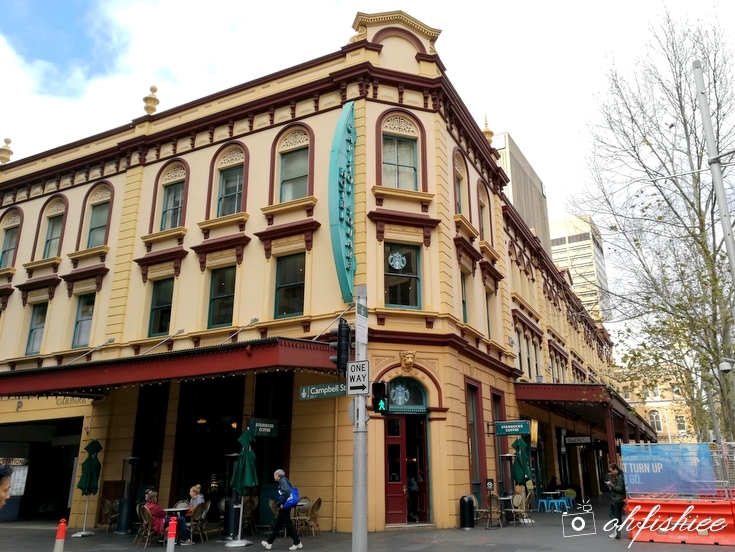 We are back to Darling Harbour (again, same area as our Day 1’s lunch), and our pick of the day is Hard Rock Café. 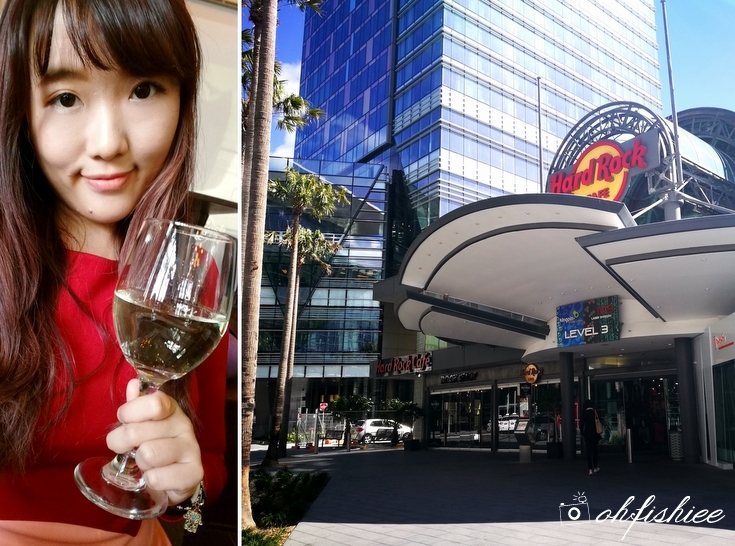 I have fond experiences with Hard Rock Café in few countries, so I thought why not try this out in Sydney too. With Rock Shop at the ground floor and dining at the first floor, this is an ideal venue for tantalizing food and shopping. A delicious sharing platter of hand-breaded, lightly fried chicken tenderloins, beautifully coated with sweet-tangy sauce. The Hard Rock Café is famous here for the Fish of the Day (Lightly battered fish fillet) and burgers. But I opt for something different for lunch this round – Hickory Smoked Ribs – a hearty platter of fall-off-the-bone tender baby back pork ribs (Half rack), rubbed with the signature seasonings and basted with hickory sauce. I love the rich, smoky flavour which is well-infused into the ribs, but I probably need another helping of hickory sauce so that the ribs don’t feel dry on the palate. Also from the menu, we try the 8-oz (220g) rump steak marinated in the homemade Tennessee barbecue sauce and grilled to a well-done perfection, served with garlic smashed potatoes and seasonal veggies. The well-done steak is rather tough, but the sauce makes up for the dish by injecting delicious smoky BBQ flavours into it. 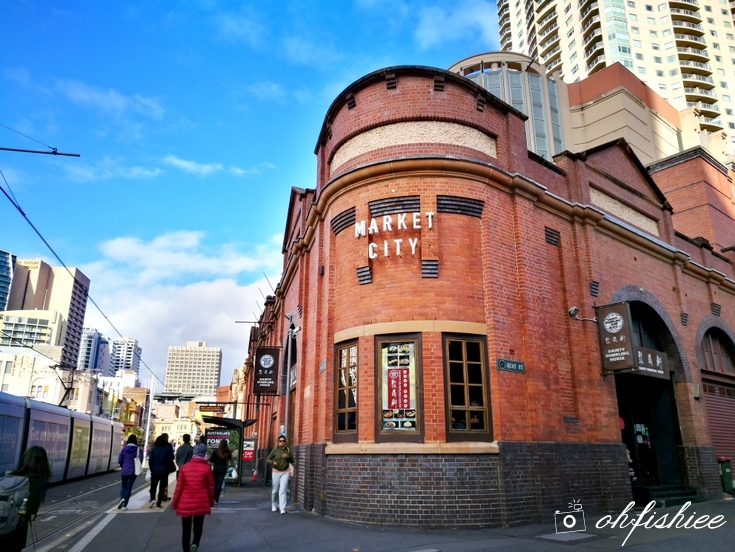 Market City, Hay St & Thomas St, Sydney NSW 2000, Australia. 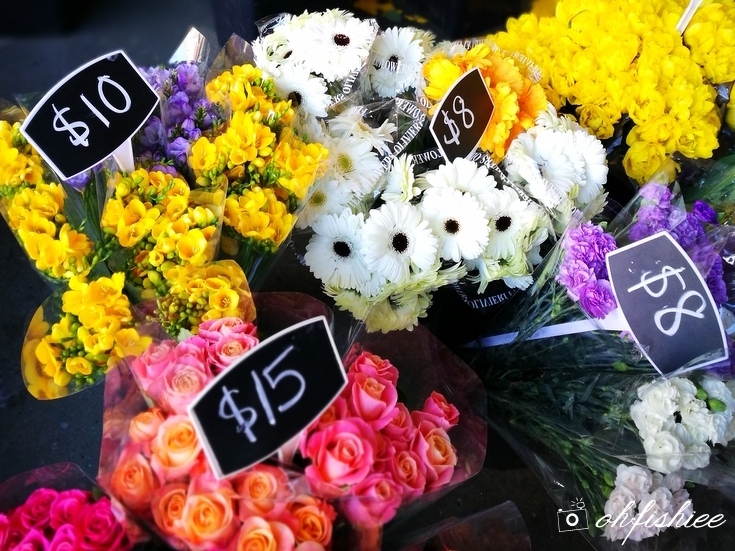 It’s shopping time after lunch – How nice it is to have so much leisure time exploring the Market City, one of Sydney’s oldest and biggest markets that have everything you need ranging from food and fashion to gifts and gadgets in a true market atmosphere. To be honest, the “flea market” atmosphere is not really appealing to me, as most stalls offer really cheap-looking stuff but at premium price. It feels like being in Petaling Street except for the fact that it is indoor and air-conditioned. There is nothing I fancy, so I am done with it in less than half an hour. Travelling Tips: Paddy’s Market is only worth a visit if you want to buy cheap yet good quality nuts. 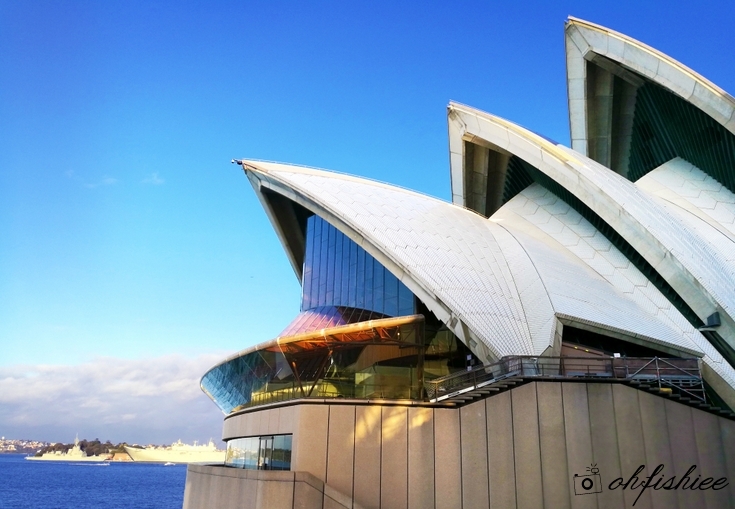 Bennelong Point, Sydney, NSW 2000, Australia. 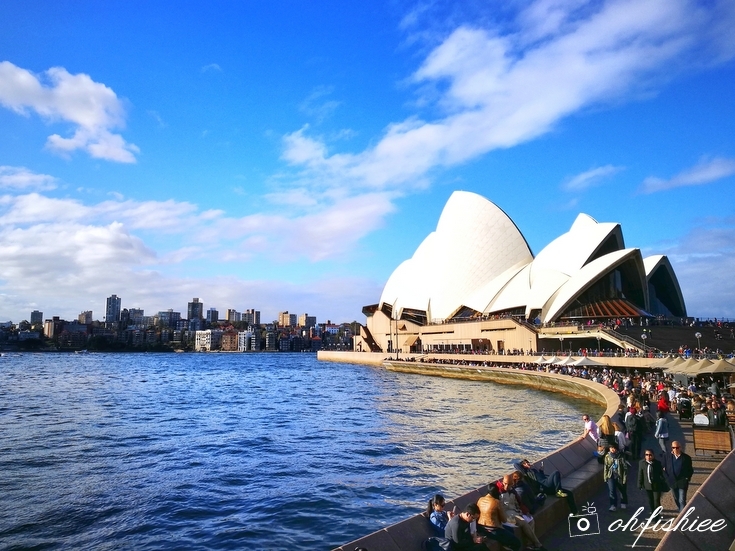 By the time we reach the world famous iconic Sydney Opera House after shopping, it is already late afternoon – a perfect timing to experience this UNESCO World Heritage place surrounded by the sea glistening in the sunlight. 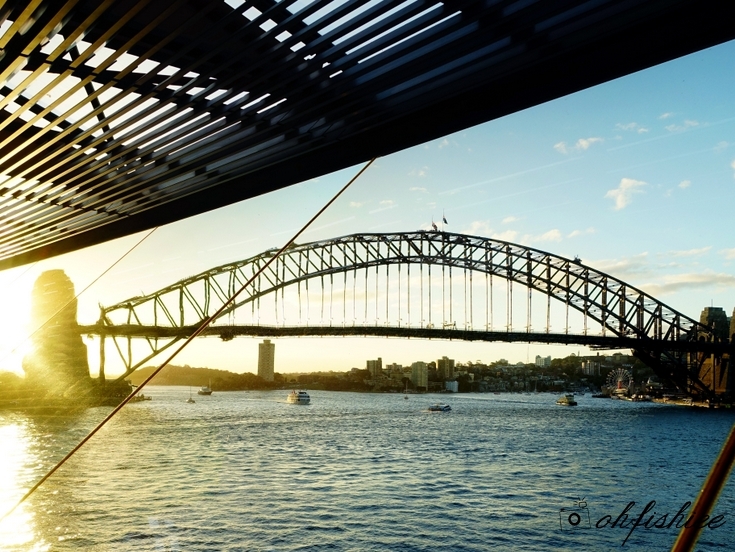 The sun in Sydney sets around 5.35pm, so be there earlier and you’ll see the perfect view of blue skies, glittery waterscape and great urban sculpture. Travelling Tips: Stay a little longer here to enjoy the 7-minute long Water Lights Show, available at 7pm daily, for a different experience after sundown. Seriously, a trip to Sydney is not complete without exploring this great architectural work of the 20th century. 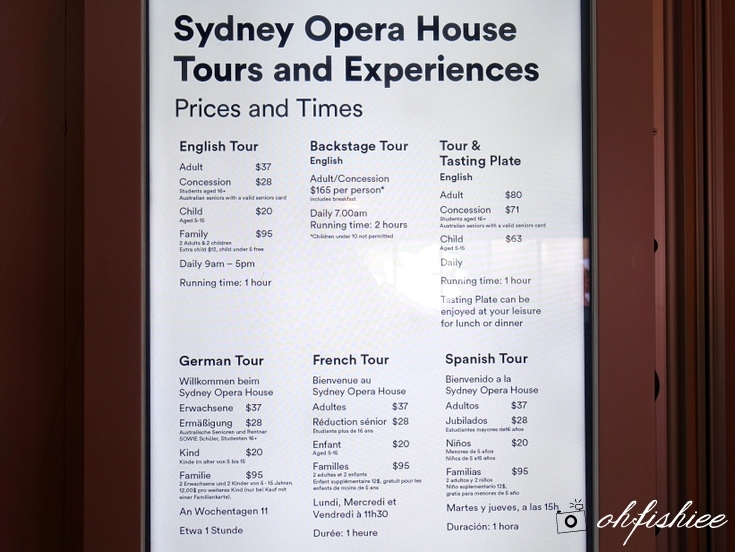 Although I find it rather pricey for a one-hour visitation, it is worth the experience for first timers who have not stepped into the opera house before. 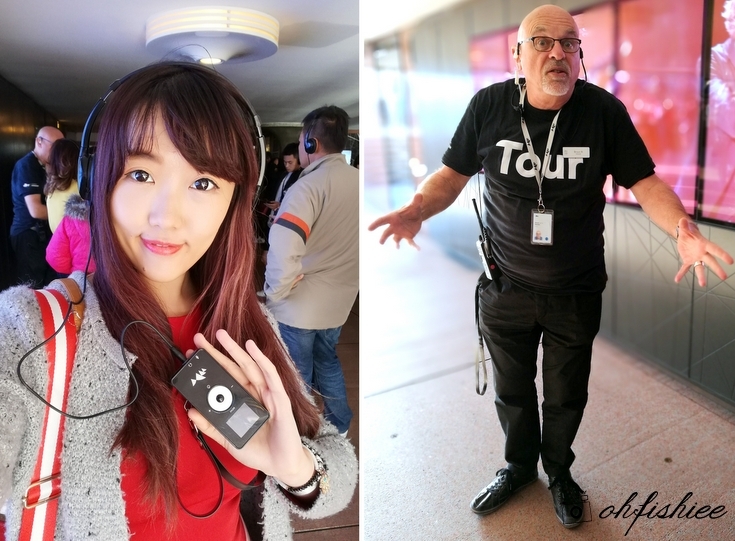 Equipment is provided during the tour so that we can hear the tourguide well. Currently it is the home to 1000 rooms, 300 corridors and hundreds of tales and secrets, with over 40 shows and experiences a week across Opera, Music, Theatre, Dance, Comedy, Talks and Tours. And it is the guided tour that allows us to gain access to the “prohibited” areas such as ballet room, garment room, production floor, backstage, etc. Mine is a one-hour tour in English version, complete with audio visual aids that makes it a truly immersive experience. If you’d like to discover how Danish architect Jorn Utzon's ambitious vision for a world class performing arts centre came into existence, join the tour. *Tour is also available in French, German, Spanish as well as Australian Sign Language. One thing I like about the guided tour is that we have a better view of the Harbour Bridge and its surrounding, from a different angle in the opera house itself. and I wish I don't have to leave this beautiful place! 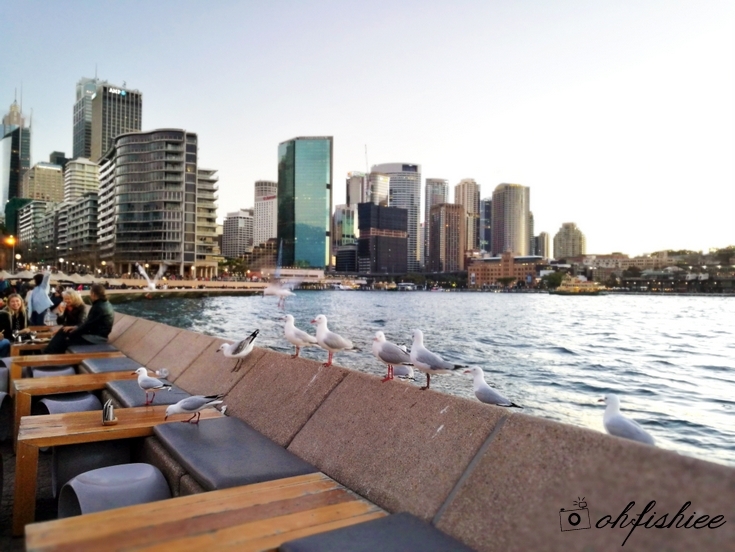 Sydney's hungry seagulls are seriously no joke! 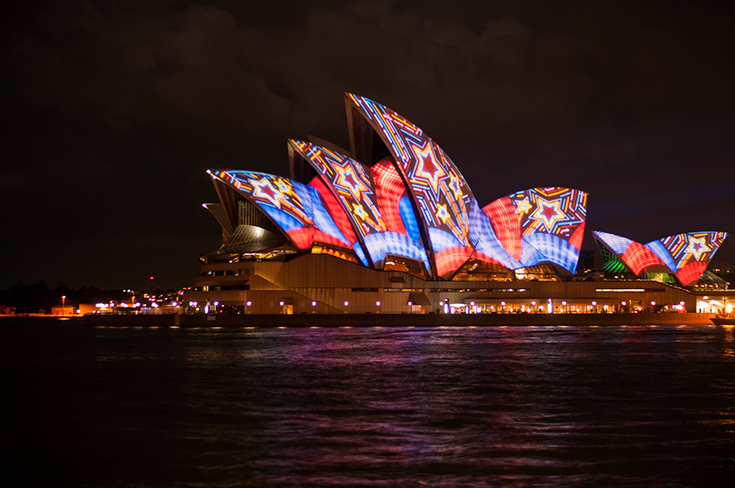 We have seen them at the Sydney Fish Market during our first day here, and now outside the opera house too. These seagulls are showing no regard for table manners, brazenly stealing food from plates as diners sit by the waterfront area. Be careful of your food, people! My only regret here is to miss the water light show, as we are running behind schedule for dinner. 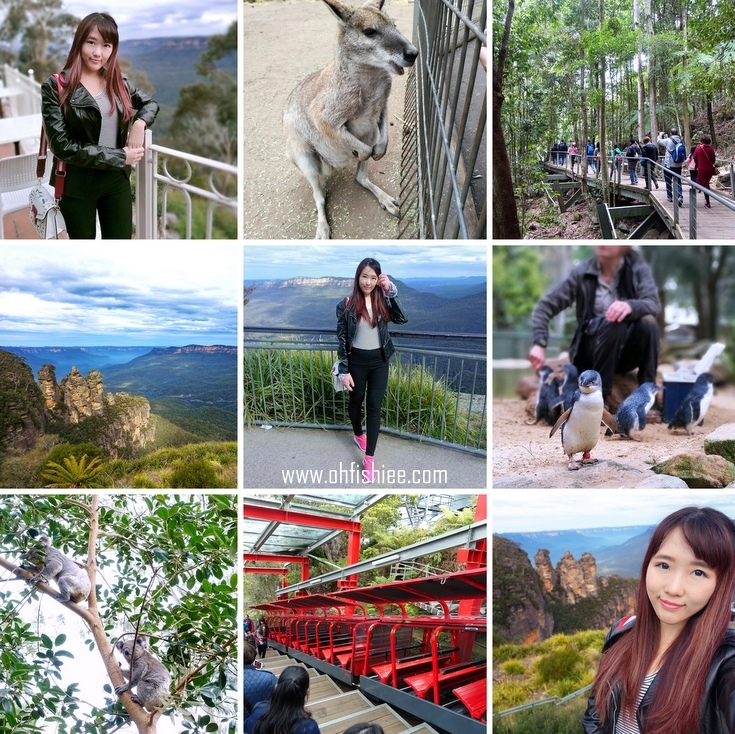 If I have the opportunity to visit Sydney again, I’ll make sure this would be in my must-do list. 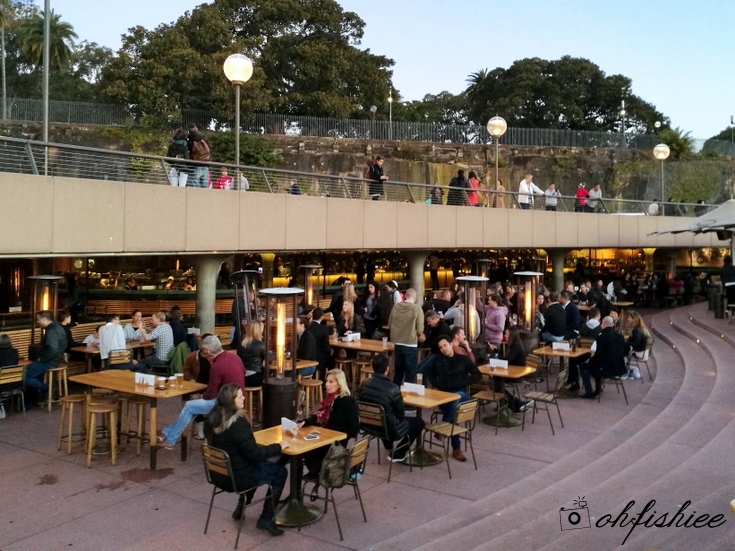 The Promenade, King Street Wharf, Sydney NSW 2000. This is, by far, my favourite starter in Sydney. Perfect for the cold evening, the creamy seafood chowder exudes strong oceanic flavours, mainly from mussels and other seafood ingredients. And I can taste chunks of salmon in every spoonful of soup, it’s lip smacking good! Here comes my main – a hearty basket of fresh seafood, deep-fried into golden brown perfection although I find it a tad oily. 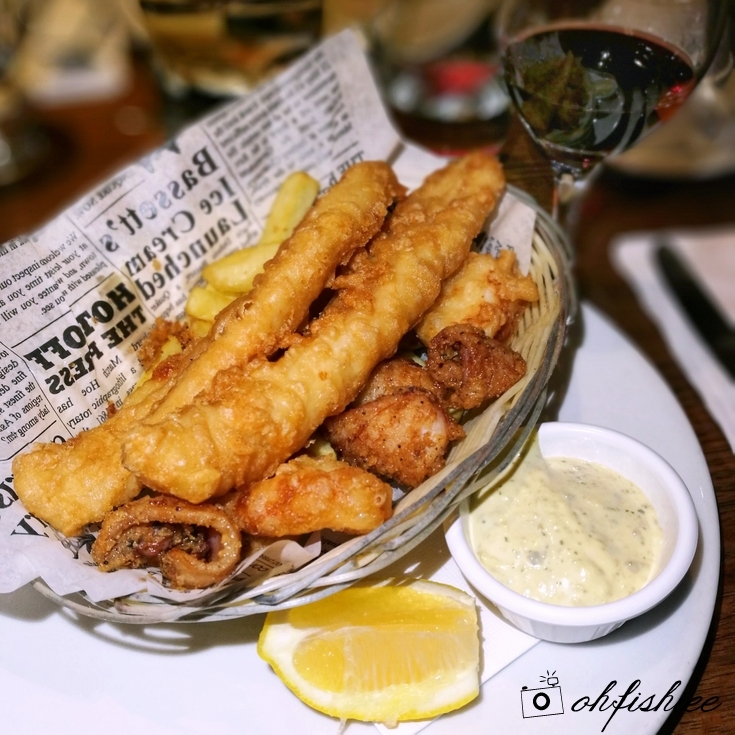 Served on a bed of thick cut chips, the seafood medley includes the Catch of the Day, Salt and Pepper Calamari, Fried Scallops and Fried King Prawns. The portion is so huge that I can only finish half of it! Seafood and red wine? Oh yes, why not! Beef lovers would be on cloud nine when the medium rare sirloin steak sitting on creamy mash arrives with strong whiffs of smokiness. For those who love their steak to be tender, juicy and slightly “bloody”, this is definitely something you’d enjoy. I am already full to the brim by then, but the signature dessert looks pretty promising so I don’t mind going for it. And it doesn’t disappoint at all. Love the generous amount of chunky nuts within the warm, moist cake! To my surprise, my meal here is pretty satisfying although the price falls slightly on the high side. Recommended if you enjoy romantic dinners by the harbourfront! An evening stroll around this area sounds like an idea if you don’t mind the chill and strong winds at 12°C. 14 Darling Dr, Sydney NSW 2009, Australia. We call it a night after a breezy stroll around ICC area, to get ourselves ready for yet another full-day itinerary to Katoomba on the next day. Basically, it is a very empty compound, but good to chill around here and enjoy the super cooling evening in this quiet town.